MONTREAL, QUEBEC—(Marketwired – May 3, 2018) – Note to editors: A photo is associated with this press release. 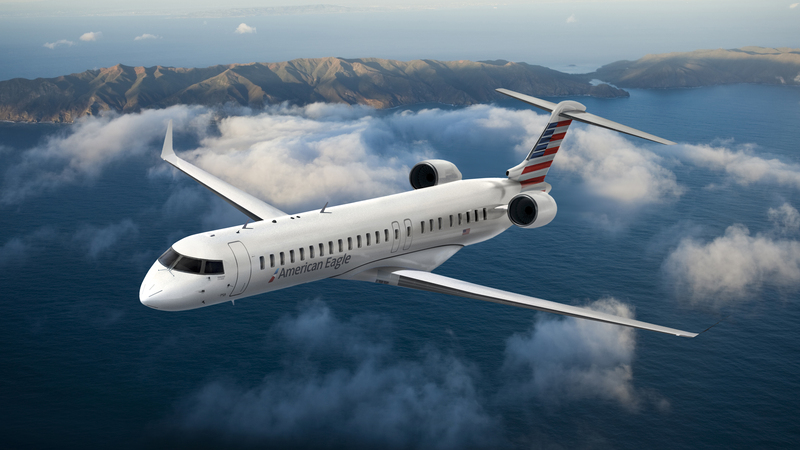 Bombardier Commercial Aircraft announced today that it has signed a firm order for 15 new CRJ900 regional jets with American Airlines, Inc. (“American”). The purchase agreement also includes options on an additional 15 CRJ900 aircraft. Based on the list price of the CRJ900 aircraft, the firm order is valued at approximately US$ 719 million. Upon delivery, American will be benefiting from the latest enhancement to the CRJ Series regional jets – the Atmosphere cabin, which offers an enhanced passenger experience and can accommodate the largest number of “oversized” roller bags of any aircraft in the same category. American has selected PSA Airlines to operate the 15 CRJ900 in dual–class configuration with 76 seats, including 12 first class seats. The airline intends to take delivery of their first aircraft with the new interior in the second quarter of 2019. An image of the CRJ900 aircraft in American Airlines livery is posted with this press release at www.bombardier.com. Bombardier, CRJ900, and CRJ Series are trademarks of Bombardier Inc. or its subsidiaries.